It is nice that you will manage the siggy list. I am a member since 2010. Yes, I already exchanged a siggy with you. 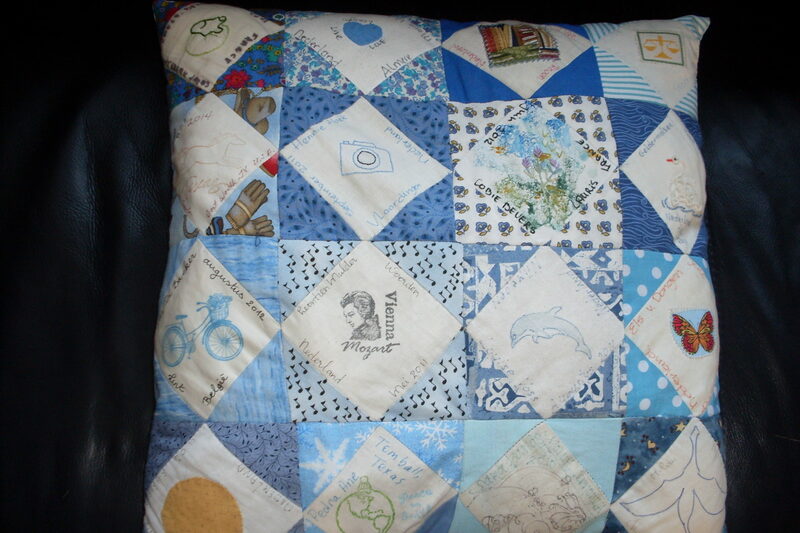 Yours is incorporated in a pillow for which I chose 16 siggies with mainly blue tints. I have another one with colored blocks. Both are lying on my couch. Furthermore a very beautiful quilt with 365 siggies serves as a blanket on our bed. I asked Marga to publish a picture of it but that never happened. Thought it could be an interesting example for others. Currently I am not actively swapping siggies. I reached my goal! But if someone asks for an exchange I still do that because it is fun. Now I am busy making cushions in the shape of a heart for women with breast cancer. The corners of those cushions are bigger and fit very well into an armpit to reduce the pressure on the wound. If you are interested you can see it in a blog. I hope you will keep the list up to date for a long time. I think it is a lot of work. Isn’t it? I wish you success and I’ll see the new list appear when it is published. Als eerste mijn welgemeende excuus aan Jos. 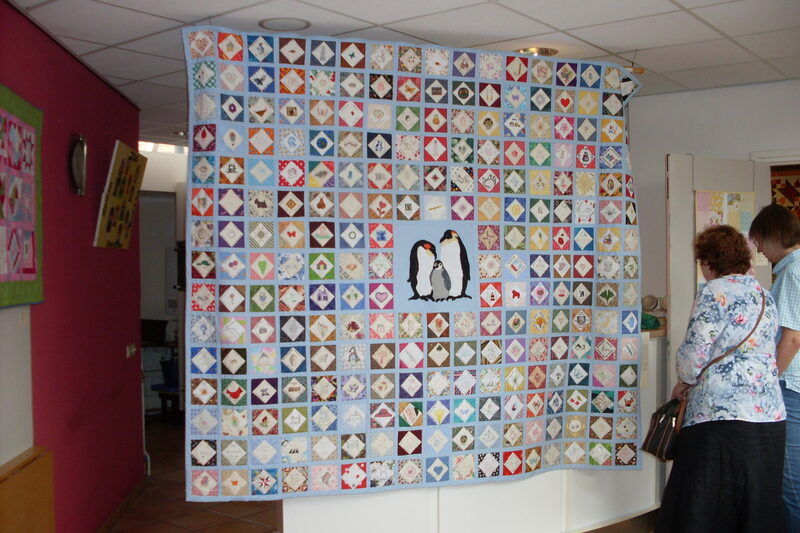 Duizendmaal sorry dat ik je mooie quilt niet geplaatst heb. Ze is het meer dan waard om gezien te worden. Ben ook zo blij dat Wouter het nu doet. Zou je nog wel met mij willen ruilen Jos, want dat hebben we nog niet gedaan?